Brownie's is proud to represent Scubapro and their newest dive fins- Scuabpro Seawing Nova Fins. These fins are designed to be worn bare foot and yet provide chafe protection, perfect for warm water diving. 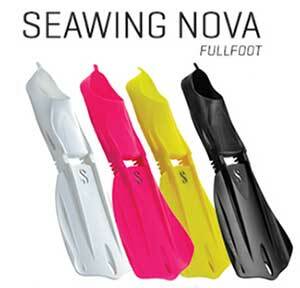 The Seawing Nova Fins have superior thrust from break through technological design. Contact Brownie's and buy the best from Scubapro for great results.